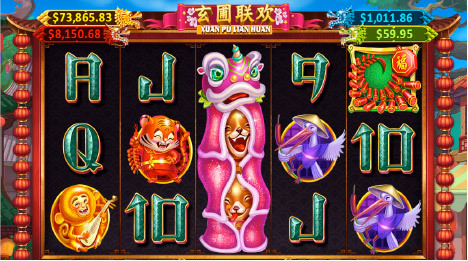 XUAN PU LIAN HUAN is a multi-level progressive game with the sleek Asian theme at Fly Casino. Immersed in spectacular colors, sounds and this new 5-reel, 25-line game comes with a 2X paying stacked wilds, up to 33 free spins and FOUR progressive jackpots! Dragon Jackpot. Triggered at random after any spin of the reels (regardless of bet size, win or loss), you’ll then spin a wheel for your chance to win the Mini, Minor, Major or Grand prize. The Baozhu Bonus feature which is triggered by landing 3, 4 or 5 firecracker scatters. As well as a payout of 5X, 20X or 500X your total bet, you’ll also receive an initial 8 free spins with a 2x multiplier. Light 2 firecrackers and you can win even more free spins (up to 33) and multipliers which can reach an amazing 15X. This new 5-reel, 40-line game comes with a stacked wilds on all of the reels and along with a great inventory of 10-A and higher paying symbols. 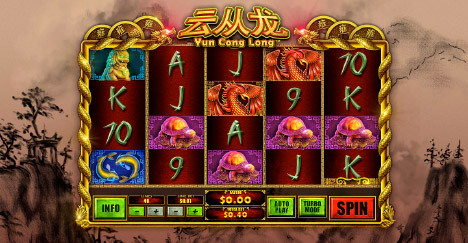 The main attraction is of course the Dragon Free Spins Feature. In this bonus feature, you are issued 5 free spins to start. As you play, the more special symbols you get, more free games are added. This can go forever! Plus, during the free spins mode, more stacked wilds are added to all of the reels. It’s an action packed game and with 40-lines, it offers more than enough action to keep you entertained! Play 75.00 X 2! On Sunday from 00:00GMT until 23:59 GMT, all members on their first deposit of just $/£/€30 or more will receive a $/£/€45 bonus. Claim it 2X! $133 BIG TUESDAY! From 00:00GMT until 23:59 GMT, all members on their deposit of $/£/€50 or more will receive a 133% bonus up to $133.00 bonus.